Losing a valuable item is very hard as we know sometimes it can’t be replaced or takes time to be replaced. 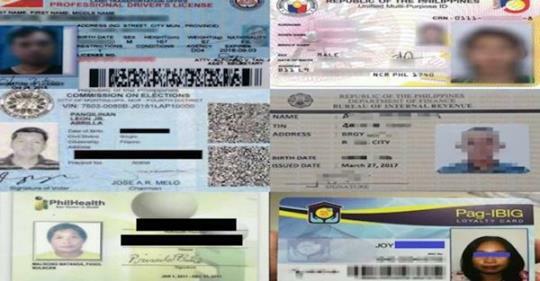 Just like our valued cards like valid IDs such as Driver’s License and cards for SSS, PhilHealth, Pag-IBIG, and Voter’s ID. In this article we will guide you on how replace your lost or damaged card step by step. Application for Driver’s License (ADL) form, proof of identity, and affidavit of loss. Step 1: Go to Customer Service Counter to get your requirements checklist, get a Driver’s License Application Form and for a number. Step 2: when the your number is called proceed to the evaluator counter and submit all your requirements for authenticity and completeness checking. Step 3: After that wait for your name to be called in the Photo Taking/ Signature Area. Step 4: Then proceed to the cashier and pay. Do not forget to get your receipt. Step 5: At the Releasing Counter. Present your official receipt and claim your card type license duplicate. Then write your name and affix your signature in the release form. If your driver’s license is already due for renewal, a medical certificate issued by any licensed physician shall be needed. This is to certify that the applicant is physically and mentally fit to operate a motor vehicle. Step 1: Fill up the Social Security ID E-6 form and check the box for Replacement of Card and Lost in the Purpose section. Step 2: Secure a number for line up and wait for your number to be flashed on screen. Step 3: when called proceed to the counter and present all the requirements. Step 4: Proceed to payment window and present the SSS Form R-6 and your P300 cash replacement fee. Step 5: Photo Id Taking and affix your signature in the signature pad. The presiding officer will also validate your information. When done your SSS ID will be delivered to you mailing address within 2 to 3 months. Step 1: Go to your local COMELEC office. Step 2: Fill-up Request Form for Replacement of Voter’s ID and attached your affidavit of loss. Step 3: Pay P100 for processing fee and the receipt when you are going to pick-up your new Voter’s ID. Step 2: Bring all the Requirements. Step 3: PhilHealth officer will process your application. Step 4: the release your new PhilHealth Card will take 15-30 minutes. Member not having MID are advised to secure a registration tracking number (RTN) which can also be used in absence of MID. You may get it at any Pag-IBIG Fund branch or through their website at www.pagibigfund.gov.ph.